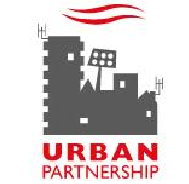 Urban Partnership Group is seeking a Youth Worker in Charge for the Masbro Youth Club. Masbro Youth Club is a popular youth club in the Shepherds Bush area of London funded by Hammersmith and Fulham Local Authority. The youth club is open to young people aged 11 – 19 years of age (up to 25 for those with disabilities) living in Hammersmith and Fulham. Urban Partnership Group is seeking three Youth Workers for the Masbro Youth Club. Masbro Youth Club is a popular youth club in the Shepherds Bush area of London funded by Hammersmith and Fulham Local Authority. The youth club is open to young people aged 11 – 19 years of age (up to 25 for those with disabilities) living in Hammersmith and Fulham. Masbro Youth Club is a popular youth club in the Shepherds Bush area of London funded by Hammersmith and Fulham Local Authority. The youth club is open to young people aged 11 – 19 years of age (up to 25 for those with disabilities) living in Hammersmith and Fulham. At the Masbro Youth Club we believe that we have a huge social responsibility to help each young person discover what they can become good at, to nurture them to achieve and to encourage them to take the risk and try something new. We provide a safe environment in which young people can develop positive relationships with others, express themselves, have fun and contribute positively to the communities in which they live. The Masbro Youth Club runs 3 club sessions per week over 48 weeks per year. The club opens each week on a Monday, Wednesday and Friday evening 6-9pm for face to face contact, additional holiday provision is provided subject to funding. The youth club seeks to engage with over 250 young people between 11-19 years of age each year and is currently looking to further develop provision. The Urban Partnership Group enterprise aims to improve the health, wealth and wellbeing of the local community of Hammersmith and Fulham. To enhance and promote the health, leisure, social welfare and community environment of people in the Borough of Hammersmith and Fulham and surrounding areas. Reduce inequalities and remove discrimination and other cause of social exclusion in disadvantaged groups and communities in order to ensure that Hammersmith & Fulham is a place where everyone has the opportunity to live healthy and prosperously in tolerant, caring communities. Rebuild communities and improve opportunities for disadvantaged people to participate in work and other aspects of community life. Continually improve the delivery of services and implement innovative solutions to meet changing local needs and community aspirations. UPG provides a holistic programme of activities from the Masbro Centre including childcare, play, youth and adult learning, volunteering and regeneration activities. The Centre has been designated as a Children’s Centre and works in partnership with the London Borough of Hammersmith & Fulham.